Agra is a city of love and architecture. When we heard the name Agra, the first thing strike in our mind is the beautiful “Taj Mahal”. Every monument and old piece in Agra speaks about Mughal architecture and history. Let’s think how will be shopping in such a historical and famous city. Agra is the best place for shopaholics to buy different things from small thing to big. The major thing you have to carry with you from Agra is leather products. Agra is very famous for different leather products. That’s why no one leaves Agra without purchasing leather products. Read here about the Top Things to Buy From Agra. Leather products in Agra are very special and famous because they are almost made of fine and genuine leather. Agra is well-known as the Leather market in India. The famous leather products you can choose here are bags, shoes, jackets, belts, slippers, etc. It’s sure you will find the best leather products in Agra. However, leather products in Agra are worth to buy. Shopping Destinations: The best-known shopping destinations for leather products are Sadar Bazaar, Kinari Bazaar, Shahganji Bazaar, Munro Rd, etc. The best souvenir piece to be taken from Agra is the Marble Replicas. Agra shopping destinations are known for many souvenirs to take with you as the token of memory. Among them, marble replicas are very famous. 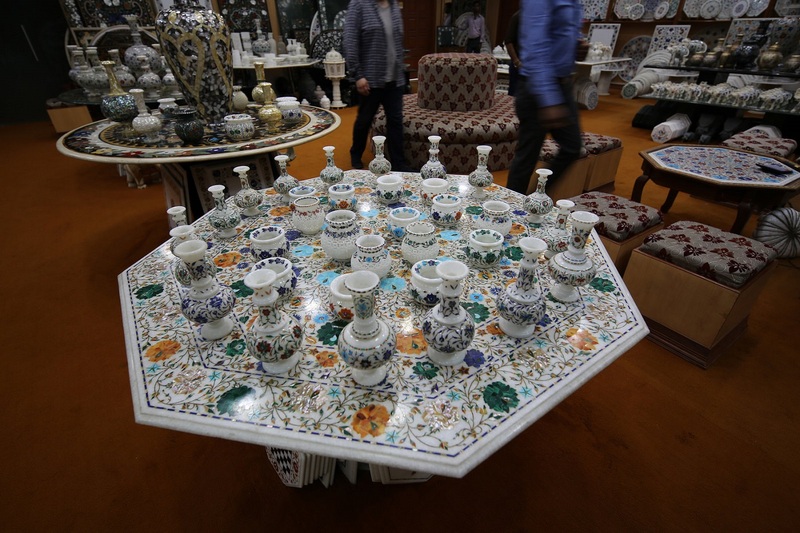 Here you can collect different marble crafts in various styles like vases, ornamental boxes, statues, plates, tabletops etc. This gift article made of white and pure marble grabs tourist attention to own it. 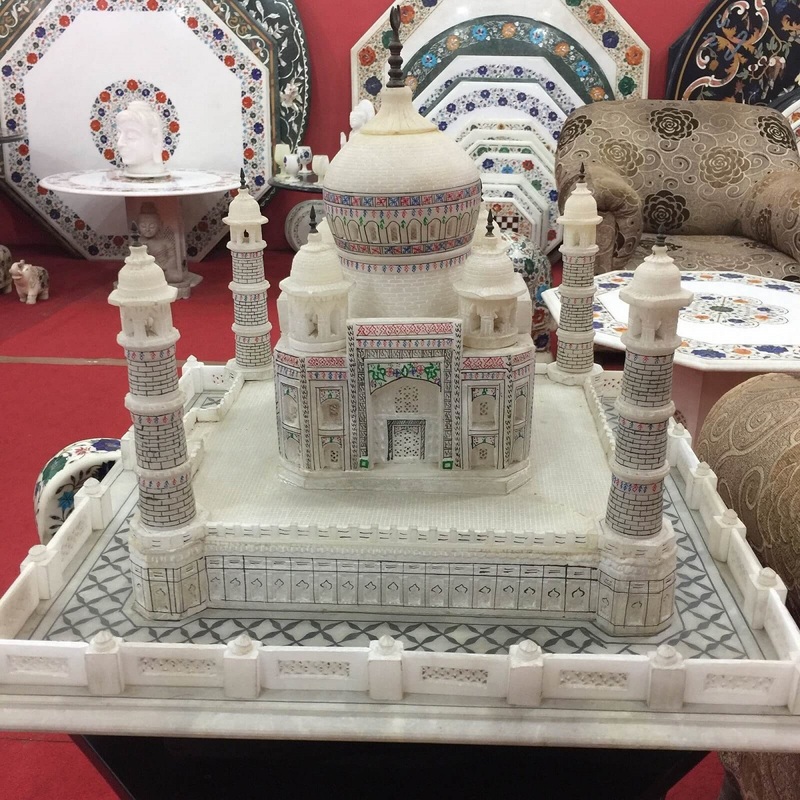 Shopping Destinations: The best destination for marble replicas in Agra is Marble Cottage at Fatehabad Rd and some other markets in Agra. 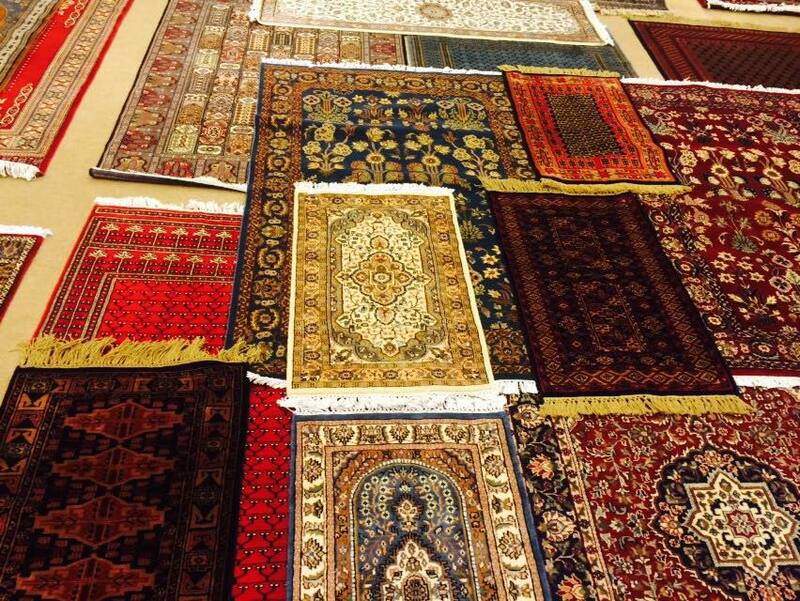 Rugs and carpets of Agra are purchasable things. These carpets and rugs are very popular with the miniature paintings and designs which resemble Mughal architectural styles. These painted rugs and carpets look very authentic and attractive to decorate your homes. Available different types of rugs and carpets in Agra are decorative mats, wall hangings, carpets for homes etc. Shopping Destinations: Near Taj Mahal complex you can find different styles of carpets and other shopping destinations are Kinari Bazaar, Munro Rd, Sadar Bazaar, and Shilpgram crafts village etc. For jewelry items also Agra is very popular. Here you can pick various models of jewelry with fine works of semi-precious stones and diamonds. Agra’s jewelry and gemstones are very popular after Jaipur. The finest jewelry can take with you in Agra sapphire rings included with star, diamond necklaces, ruby diamonds etc. Agra jewelry is known for exquisite designs and fine works. 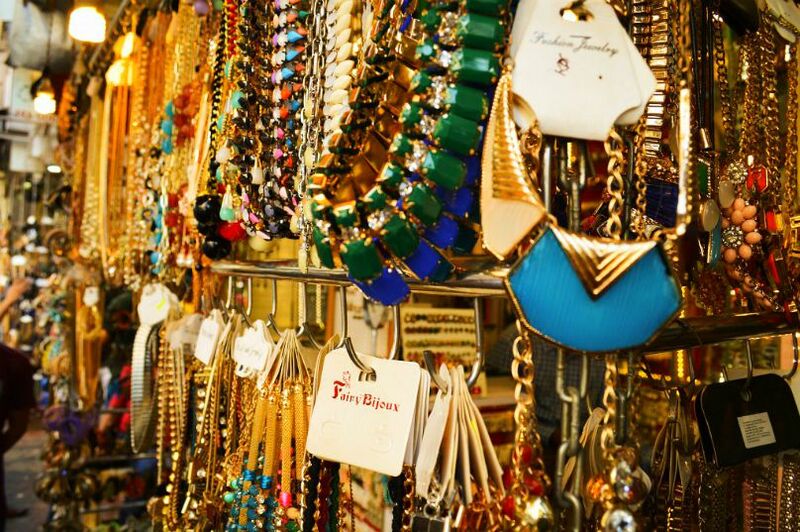 Shopping Destinations: For jewelry, you have to visit Fatehabad Rd. Here you can find numerous stores which are known for jewelry in Agra. And other markets for jewelry are Raja Ki Mandi market, Kalakriti market etc. 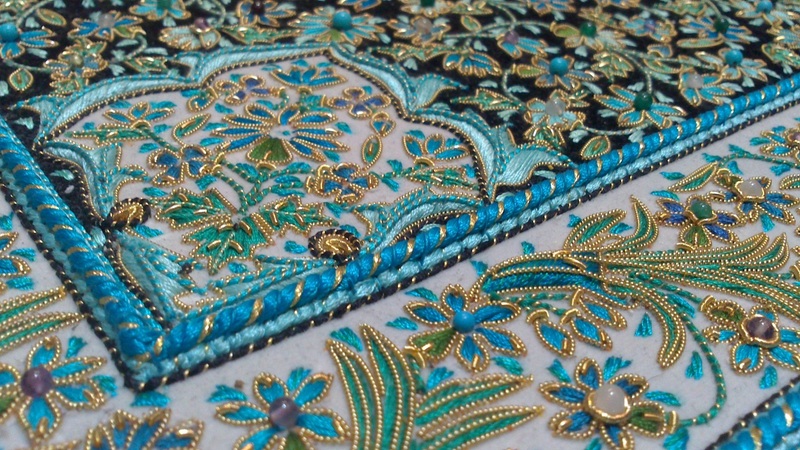 Agra is known for hand embroidery textiles. Embroidery textiles in various styles and designs like Zari embroidery, silk embroidery, chain stitch embroidery etc are very popular in Agra. Mostly, Embroidery textiles in Agra almost made of hand. That’s why the designs on saris or textiles look very fine and attractive. Moreover, traditional embroidery textiles are the best-known for marriages in Agra with beautiful semi-precious stones work. Shopping Destinations: The famous shopping destinations for embroidery textiles are the Embroidery Palace, Subhash Bazaar, and Gems and Art Gallery etc. For silk textiles or saris there is a great demand in Agra. In Agra, you can buy various types of silk saris and textiles like silk velvet, Banaras silk, pure silk, Tussar silk fabrics, etc. Not only these, you can also find numerous collections of silk items in Agra. 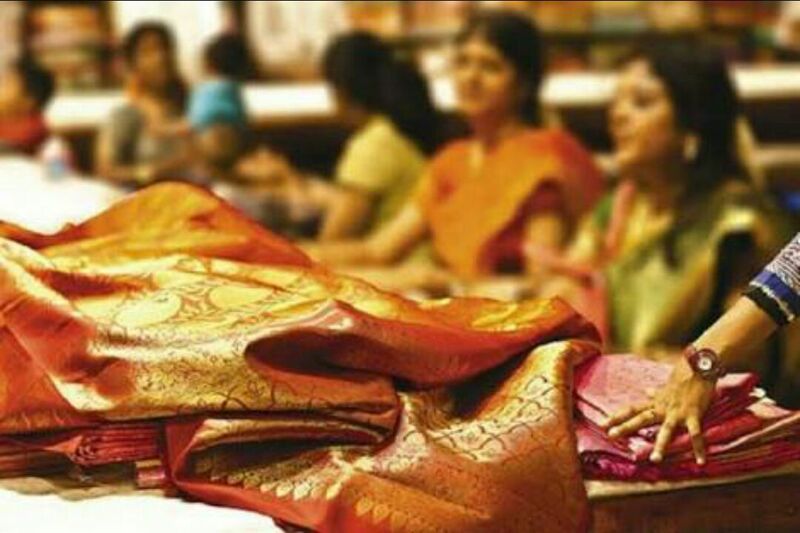 Shopping Destination: The best-known shopping zone for silk saris or items is Subhash Bazaar. Handicrafts are the most preferable things to buy in Agra. We know that Agra is the land of Mughals and they are very much fond of crafts. That’s why till now, Agra is home for a number of craftsman. 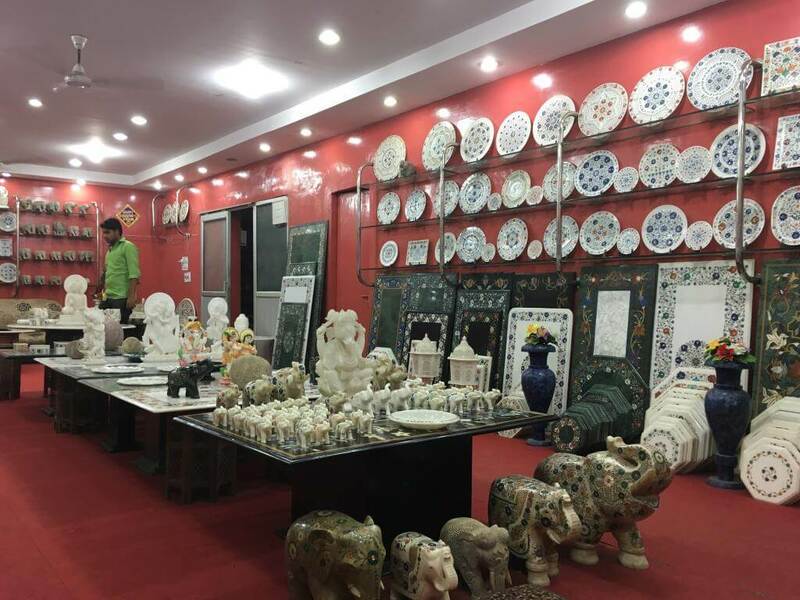 Here you can find various styles of handicrafts like flower pots, marble soap stones, glass handicrafts, different statue handicrafts, etc. Handicrafts of Agra are the must to buy. Shopping Destinations: Shops near the Taj Mahal complex are the best for different souvenirs and attractive handicraft items. Some sweet items of Agra are very popular in the whole North India. They are very tasty, and tourists are mostly recommended to taste these sweets and also to take with them home. The most favorite sweet item in Agra is the Panchhi Petha and other different flavors of this sweet item are Angoori Petha and Chocolate Petha. This sweet item is very famous in Agra and other famous sweet items of Agra are Petha and Gazak. 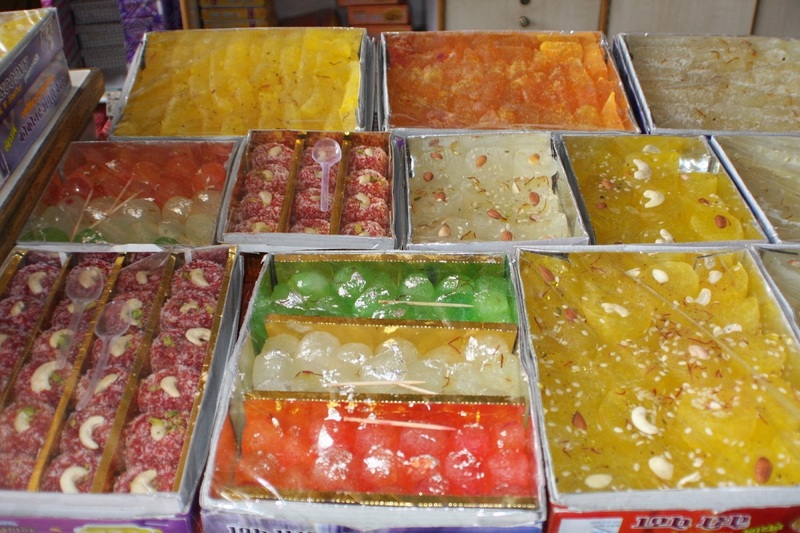 Shopping Destinations: These favorite sweet items are available at Station Road and Sadar Bazaar market area in Agra. Metal wares in Agra are also recommended things to buy. These metal wares are most commonly made of brass items and they are also one of the best handicrafts to buy. Some of the popular metal wares you can pick here are flower vases, plates, jewelry boxes, metal sculptures etc. The metal wares of Agra will look very pretty and attractive. Shopping Destinations: Shopping destinations to got these metal wares in Agra are Shilpgram crafts village, Gangotri Emporium, Sadar bazaar, and Munro Road etc. Last but not least, Taj Mahal souvenirs are the must-thing to bring with you. We knew that Agra is known for the beautiful Taj Mahal. Here you can see many different Taj Mahal souvenirs made of glass, crafts, marble, etc. They look very authentic and attractive with simple and fine works of Taj Mahal in the form of souvenirs. 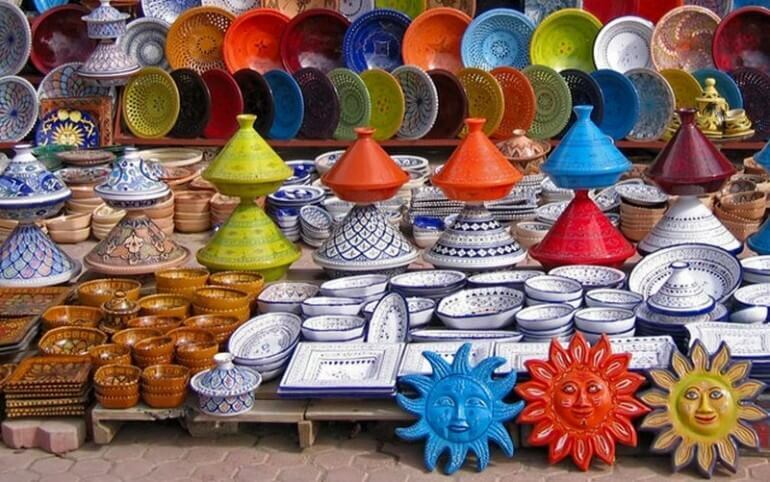 Shopping Destinations: These souvenirs are mostly available in the premises of Taj Mahal complex and in some famous markets. These are the top 10 memorable and important things you should not miss to buy in Agra. One simple tip to get all these things simply means, you have to visit Agra’s popular markets. Here you can buy almost all the things mentioned above. And the famous markets of Agra are Sadar Bazaar, Munro Road, Kinari Bazaar, Raja Ki Mandi, and the Taj Mahal complex. However, never forgot to bargain. 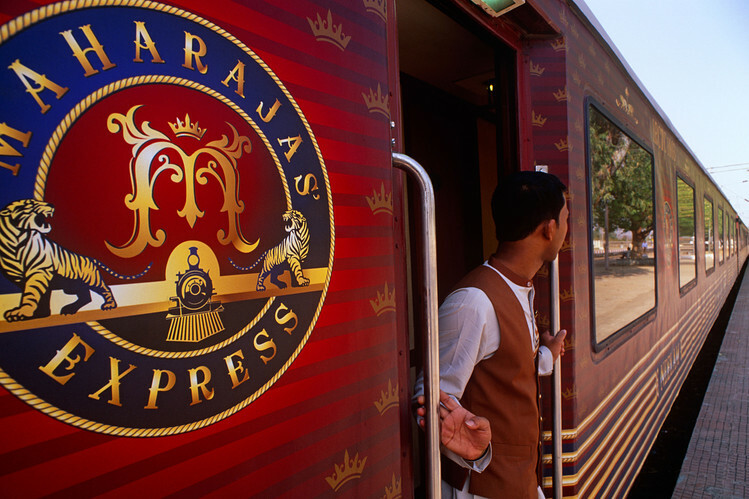 If you are planning to visit Agra then book your journey with Maharaja Express Train – World’s Leading Luxury Train. 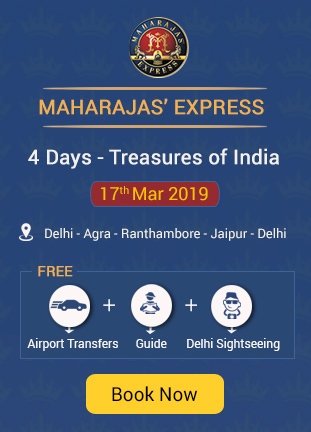 This luxury trip will offer you the visit of Taj Mahal and other heritage places and monuments.